Here are 14 free programs you could be using at your radio station! I use all of these programs at Pulse FM. Get in touch with me if you have any questions. RDS Translator is a piece of software developed by Leif Claesson, designed to distribute text from one source to multiple destinations. It was designed to take the now playing data from your playout system (whether it be via HTTP, XML or a text file), and distribute it to RDS encoders via HTTP and/or XML. RDS Translator can also be used to distribute your station’s now playing data to services like the Tunein AIR-API, Shoutcast or Icecast metadata, or i3 Network’s ‘Lava’ system. You can download RDS Translator HERE. A help file is included in the zip, however, feel free to contact me via email (josh@pulsefm.com.au) for assistance in getting RDS Translator set up. Jetlink is a new high quality, low latency outside broadcast codec for radio stations. There is a free and a paid version of Jetlink. The free version should work fine for most stations. ButtonPanel is a simple jingle and sound effects player made by Charlie Davy in England. uTag is a free application for both music lovers and radio producers – it plays, tags and helps you manage the properties of your audio files. You can tag files using APE/ID3, RIFF, Cart Chunk, FLAC and OGG tags. Download HERE. StudioScreen is a studio clock for displaying time, on-air status and other information in the radio studio. Pira CZ Silence Detector is a free application which continuously listens to the sound from a soundcard on your computer. If no sound is present for a specified time, pre-defined tasks are executed. This application is a perfect tool for any radio station where continuous audio is important. Are you looking to receive phone calls when your station goes off the air? Take a look at Anthony Eden’s Twilio Caller, which integrates with the Twilio API and the Pira Silence Detector. 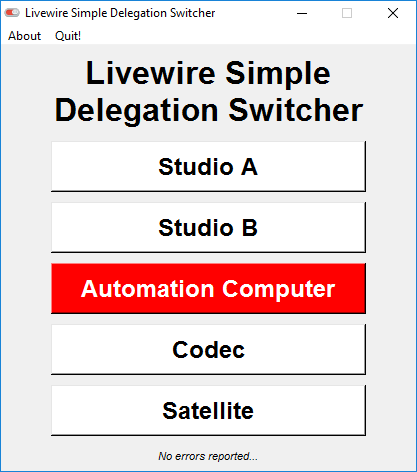 Anthony Eden from MediaRealm recently released his ‘LWsds’ software, which acts as a delegation switcher for Livewire AoIP! The software is completly free and open source. More information can be found HERE, and you can download it HERE. AltaCast is free stream encoding software that can stream to either Icecast or SHOUTcast servers. 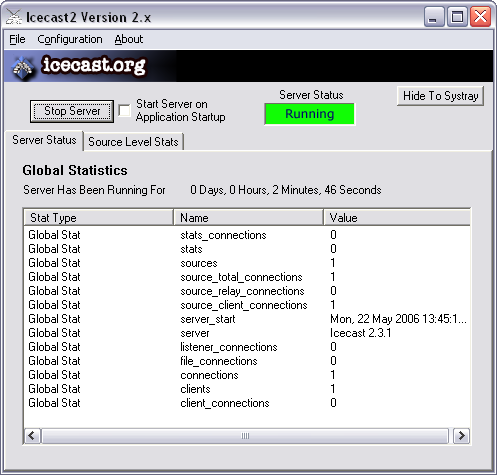 Icecast is a streaming media server which currently supports a whole range of codecs. Icecast is free and open source. You can download it HERE. NewsBud is a desktop newsroom solution for small/medium stations who wish to create, edit and broadcast news bulletins/scripts. With NewsBud, you can view a series of RSS news-feeds, copy+paste the text into a new story and compile it into a full bulletin along with audio clips for playout using the “Studio Panel”. This is a simple-to-use playback and reader screen offering easy text-scrolling and audio playout. You can download NewsBud HERE. 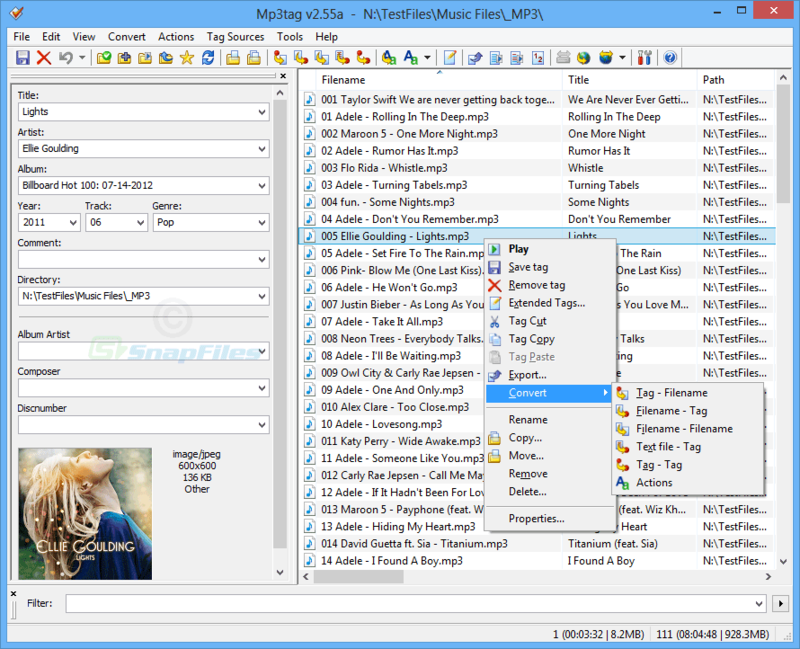 Mp3tag is a powerful and easy-to-use tool to edit metadata of audio files. It supports batch tag-editing of ID3v1, ID3v2.3, ID3v2.4, iTunes MP4, WMA, Vorbis Comments and APE tags, across a whole range of audio codecs. 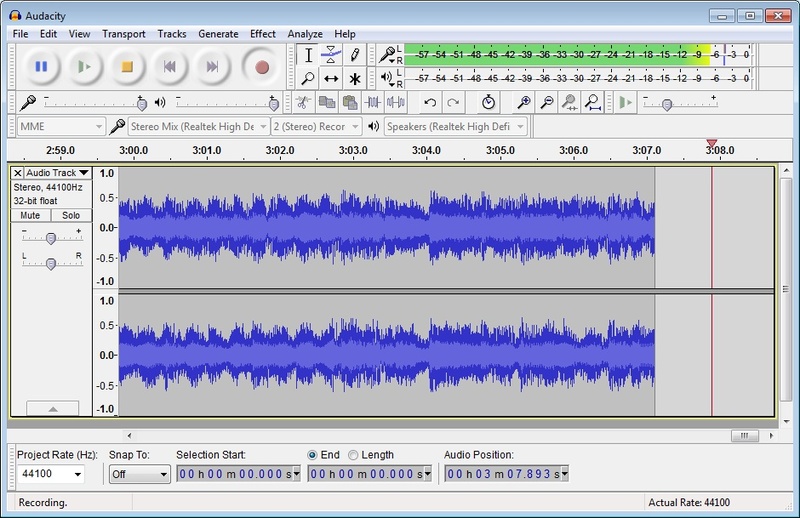 Audacity is a free, easy-to-use, multi-track audio editor and recorder for Windows, Mac OS X, GNU/Linux and other operating systems. The interface is translated into many languages. Download Audacity HERE. RadioDJ is a free radio playout system. It uses the free MySQL Community Server as a database backend. I don’t use RadioDJ as Pulse FM’s primary playout system, however, I run it on the computers at our transmitter sites as a backup if our studio to transmitter link fails. In Pulse FM’s configuration, it receives a copy of the music log (from a NAS at the studio), which our primary playout system usually plays out. RadioDJ then has the capability to generate it’s own basic playlist in the event that it’s not able to access the music log from the studio. RadioDJ can (and is designed to) run of it’s built in scheduler, perfect for small internet radio stations! You can download RadioDJ HERE. I use Rivendell at Pulse FM as a primary backup to our primary playout system. It uses the music log generated by our scheduling system, so that we continue to use the same log if our primary playout system crashes. What music scheduling system (or software) do you use? I use Natural Music and haven’t been able to get it to work with Rivendell because of the 8 (6) character cut number restriction Rivendell has. Well, I used Rivendell with Natural Music with no problem. Just renumbered my cuts in NM to have six digits as ID. Great list. A few I did not know about and will give a try. While the Pira CZ Silence Detector is a good concept, my understanding is you need a separate “audio source” for the Pira CZ Silence Detector to use in order to play “Backup” Audio.